The price of gold skyrockets in unsteady economic times. But since you can’t grow gold, saffron might be the next best thing. In fact, at one time the price per gram of the world’s most iconic metal was actually the same as this purple plant anyone can grow. Now, the current estimated price per pound of saffron is $1500 (a little more than the price of an oz of gold) and some varieties even fetch up to $10k for a pound. So, I had an idea: leveraging the extreme control that’s now possible with indoor farming operations to design an environment capable of mass producing this high-value commodity. Peyam Barghassa of hydrofarm.com, one of the few people writing about growing saffron hydroponically, was generous enough with his time to talk about the feasibility of such a project. You don’t have to worry about saving seeds, the bulb goes dormant during the summer, and the process begins anew. I suspect you could accelerate that process with more environmental controls and Peyam agrees you can at least mimic optimum conditions. This is the point in our conversation when I was elated. A relatively short planting to harvesting time with a low technical investment that produced such massive returns was more than intriguing and definitely within reach. I was ready to order the corms. Unfortunately, reality had to kick in. “I read somewhere [that it takes] 75,000 blossoms to produce a pound” Peyam said. Even considering each corm can produce up to three blossoms, that’s still 25,000 corms needed for just 1 pound. 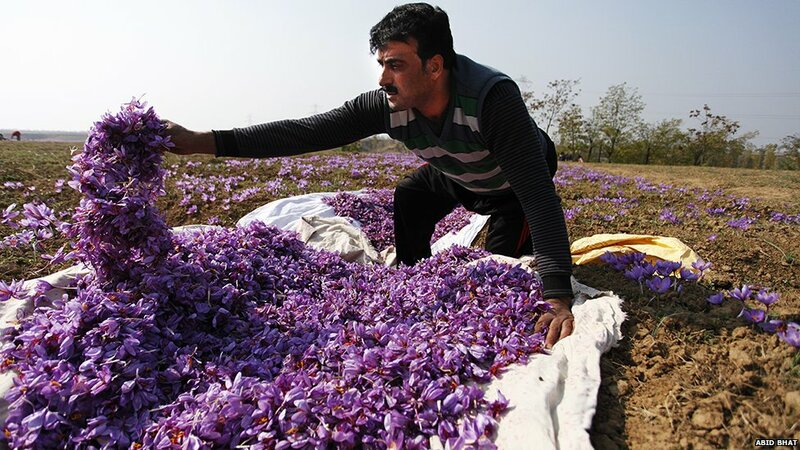 On top of that, saffron is one of the most tedious crops to harvest, requiring harvesters to gently pluck each fragile stigma from inside the blossoms. 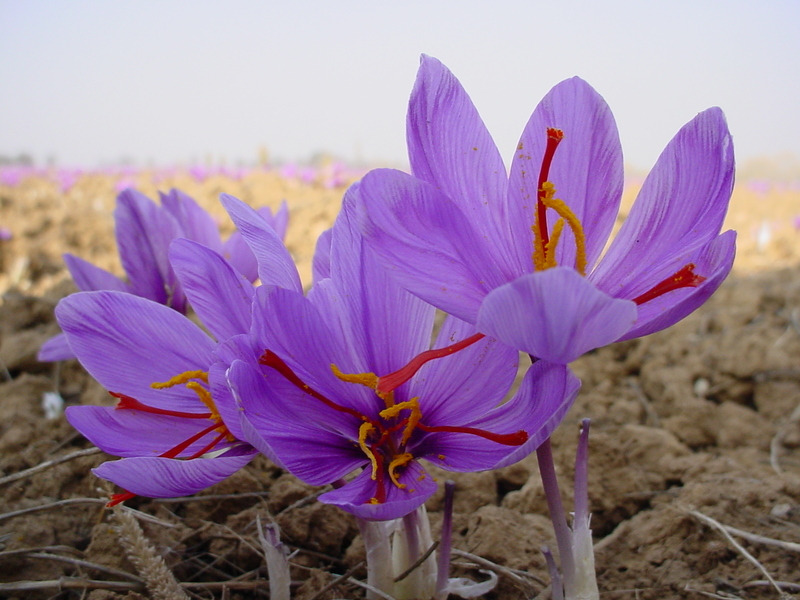 In fact, besides the arid climate, Iran is only the world’s largest saffron exporter because the cost of labor is so low. Finally, based on Peyam’s figures, the space investment/pound of the precious stigmas would be 2777 sq. ft of hydroponic space. With a space that large, your value/sq. foot wouldn’t be comparable to other high-value, and faster growing, herbs. All that said, there is room to innovate. You could certainly grow more efficiently by growing vertically, whether that’s with a tower structure or with stacked shelves depends on future experimentation. There may even be a way to streamline labor without compromising quality. Though there isn’t a formula for either of these things, there is space to improve. I was happy to shoot my pipe dream through Peyam, but unfortunately, hydroponic saffron is not the next get rich quick success story waiting to happen. I’ll be on the lookout though, and if you think of something first, feel free to let me know. If you want to learn to grow crops hydroponically or more about urban vertical farming, sign up for our mailing list. I send articles that touch on these topics and more with a lot of behind the scenes action. See you there! This article was a bit different than what I usually write about. First, I was excited to involve someone else, like I did with John here, but I was also glad to talk about an idea that I actually began to pursue. As a result, this article felt more personal to me. Let me know what you thought on twitter (@proverticalfarm) or by signing up for my mailing list and dropping me a line. 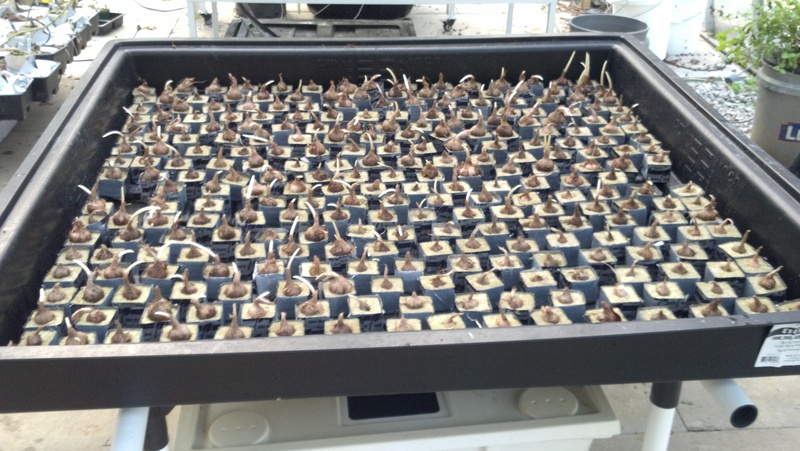 This entry was posted in Hydroponic, interview and tagged herbs, hydroponic, interview by Evan. Bookmark the permalink. I love the taste of Saffron, it can enhance a dish in a subtle way. A popular Flemish dish using Saffron is a rice pudding made yellow by the Saffron strands, eaten cold. The flowers too look very beautiful, colour wise. Good stuff Evan…and very thought provoking! have you watched hydroponic tulip videos? they might give you ideas. forinstance you dont need rockwool. and how you can pass 1st segment in vertical tray version. in addition you can plant them much tight (all touching each other) you have given so much space. pls try. and let us know. And they dont need much lisght you can plant them in vertical tray. In addition to all; different from other green plants, this one is harvested only twice a year and shiped only once, selled only once; with all these pros its worth trying more. And its the plant which loves water so that also makes it hydroponic. I think the problem with tulips is that they’re undercut from South America and the highest quality strains come in from Europe. It is definitely worth experimenting with though, thanks! I like your article very inspiring. If i grow saffron then where i can sell in good price. who is the best buyer. That’s the hard part about any farm business. Good luck.